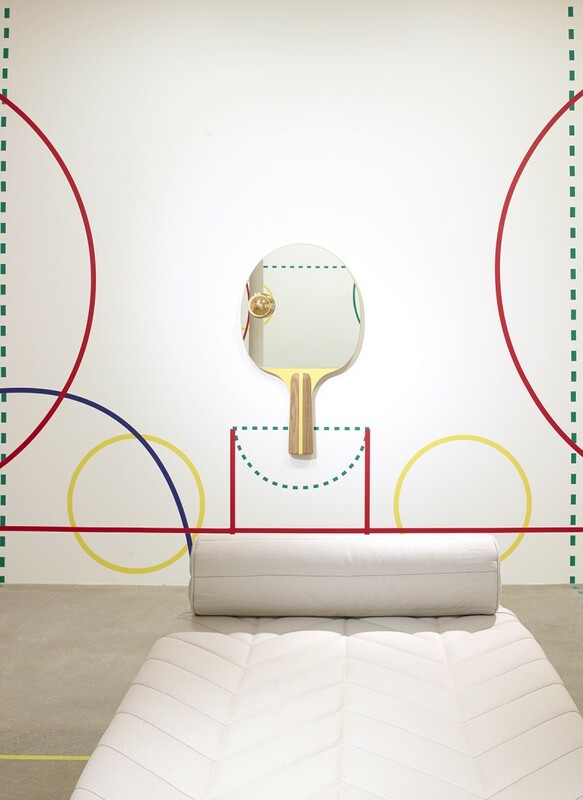 For his first collaboration with Galerie kreo, following the ”Carnival Series”collection of mirrors in 2014, Jaime Hayon has created a collection inspired by sports—a theme in tune with Galerie kreo’s DNA as Clémence and Didier Krzentowski both come from this industry, having participated in the production of the Olympic Games of Albertville in 1992. 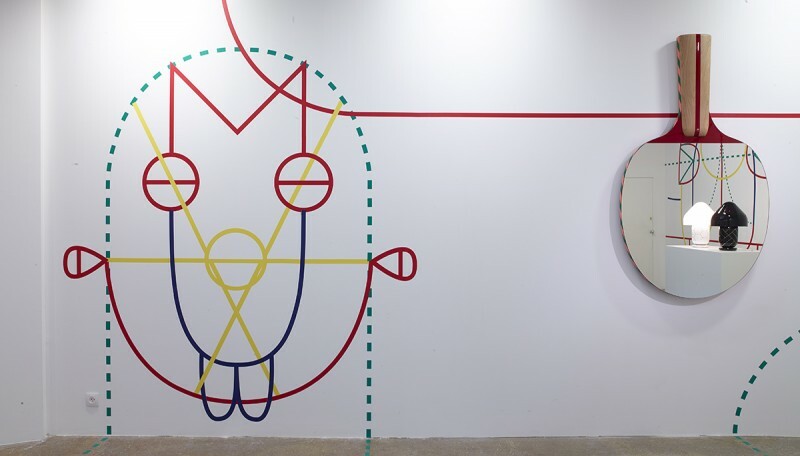 In a similar manner when Hayon stages fauna, flora, Circus or games, the inspiration of sports allow the Spanish artist and designer to bring to life cartoon-like pieces playing with metamorphosis, scales, and disguises. These transformations bring us back to the flawless imagination of Jacques-Émile Ruhlmann (1879–1933), one of the most honorable interior decorator of the 20th century; who came up in 1929 with the Chaise-longue aux skis also known as « Maharadjah », where the feet of the chair morph into bronze skis. The visual theme of sports also allows Hayon to play with forms, colors, and patterns—graphic lines of sports fields, aerodynamic curves, ergonomic structure. 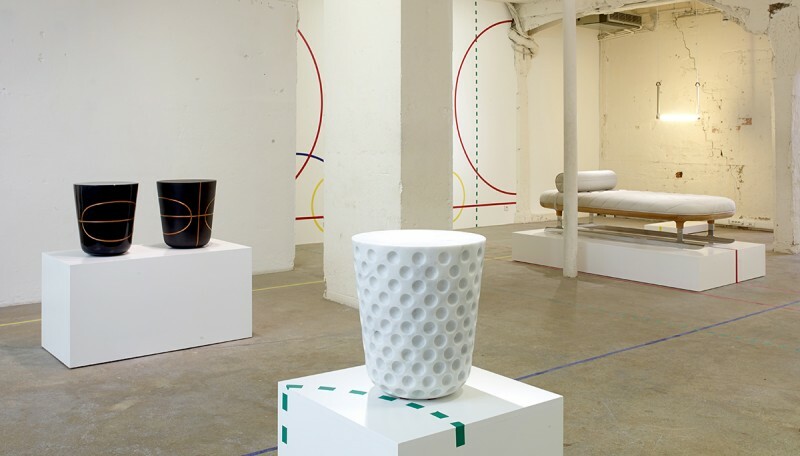 For example the Golf Side Table mimics the pattern and texture of a golf ball in precious Carrara marble. As often the case with Jaime Hayon, each piece proposes a scenario of use, precisely conceived, and stems from a singular vision: “I wish to freeze a moment of my imagination,” he wrote in 2013. If the work is often joyful and ornamental, it originates from rigorous conception and production. It is one of the gifts of the talented designers to never make the audience feel the pain of the workload but just the joy of the process, the pleasure of creation. 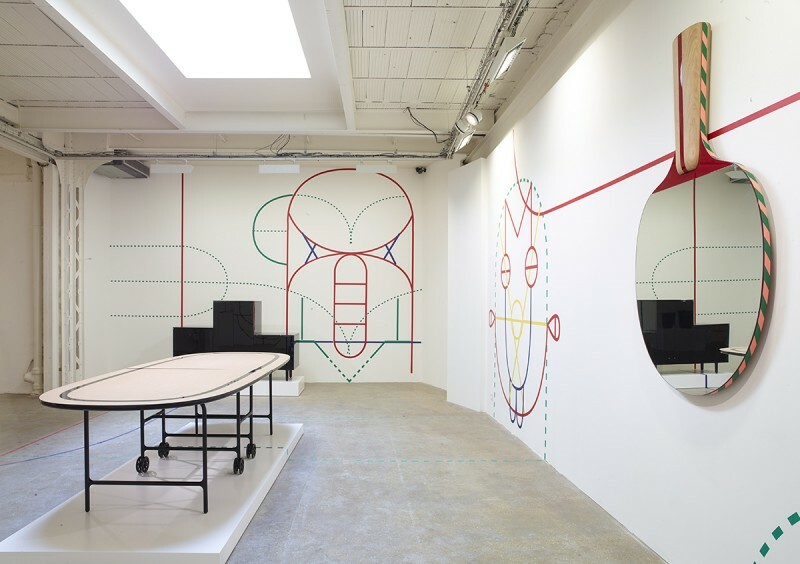 “What matters is participation,” declared Pierre de Coubertin, founder of the OlympicGames; “what matters is imagination,“ claims Game on at Galerie kreo. 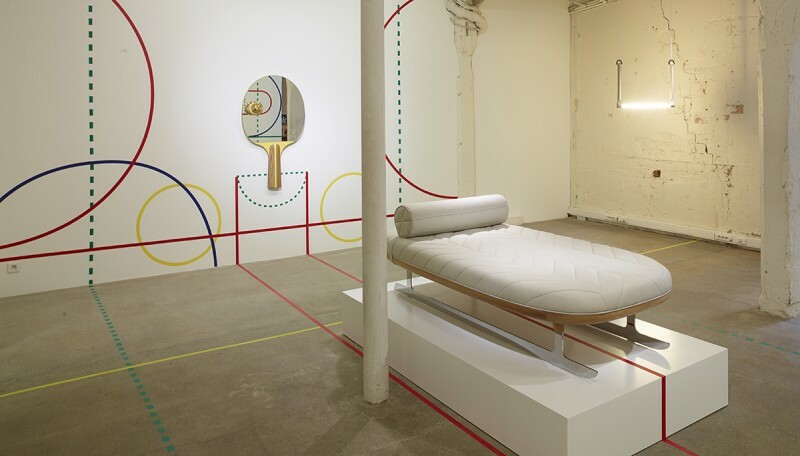 Here the daybed Sledge Sofa plays on its resemblance with a sledge or bobsleigh, conveying speed and recklessness only here to invite sleep and relaxation, an oxymoron if you will. 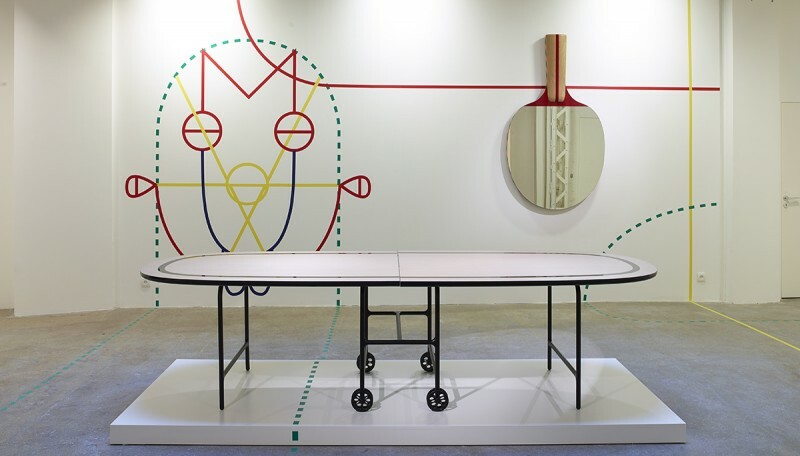 The Podium cabinet suggests we hierarchize the way we store our goods, and the mirror Ping Pong Hanger seems to spring from a hallucinatory experience of Olympic proportions. But the pieces are much more than an invitation to a dreamlike state, and reveal a precise technique of design allied with the vocabulary of the sports industry: research, efficiency, technical demands … and it is with a perfect knowledge of metamorphosis that Jaime Hayon successfully meets the expectation of functionality. 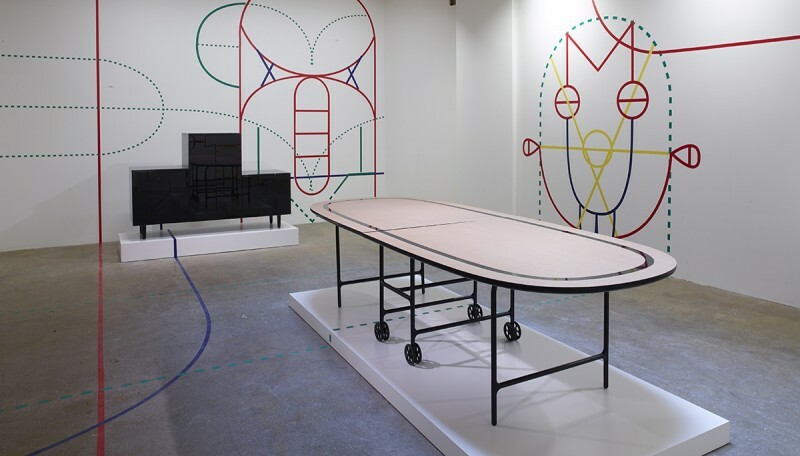 The many disciplines invoked: gymnastic for Trapeze Light, ping-pong for Ping Pong Table, collective sports for Sports Lights and Basket Side Table—bring coherence to the collection. 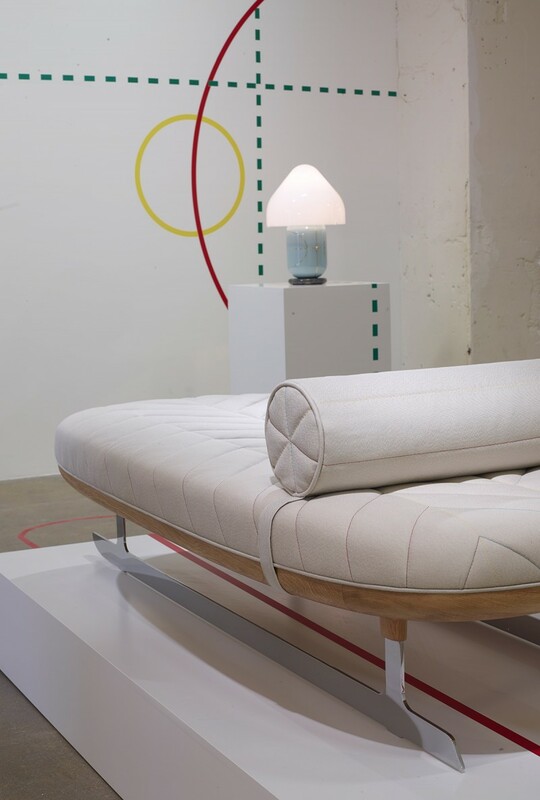 Furthermore, Jaime Hayon decided to give the collection a final twist: the use of artisanal and noble materials (his favorites ceramic, wood, marble, hand-blown glass, leather) instead of the obvious high-tech and composite materials preferred today. As always crossing the line. Just imagine a world where things are no longer what they seem to be, limited by what we think they can be; a world where objects can be whatever they want; this world is the one of a certain Alice, daughter of Lewis Carroll and generations of dreamers, this world is one where an acrobatic trapeze lights up in neon (Trapeze Light)—where your minimalist ceiling light hosts your tightrope walker dreams. 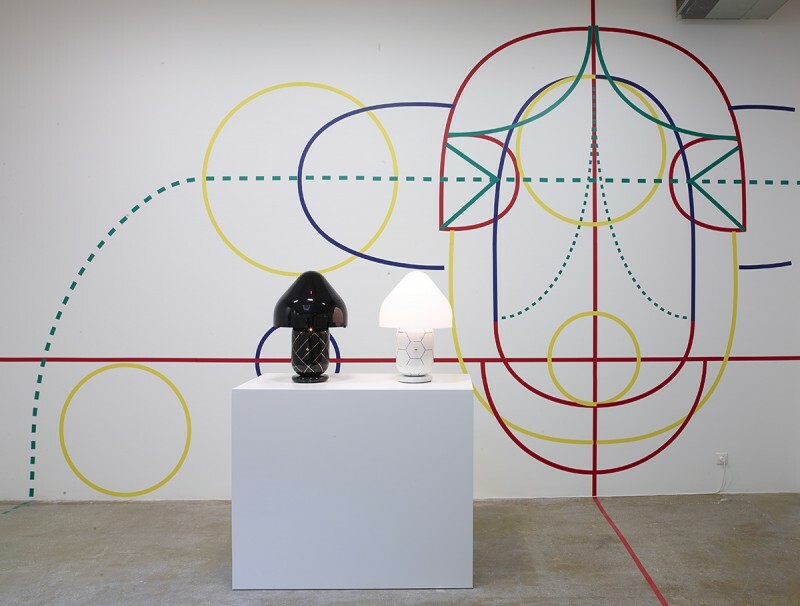 This world is the one in which Jaime Hayon has been living for the past ten years; designing in an open and non authoritarian manner, where the quest for ornament and the cartoon-like quality of the drawing is combined with noble materials, such as in this dynamic Game on, functional and playful, technical and surreal.